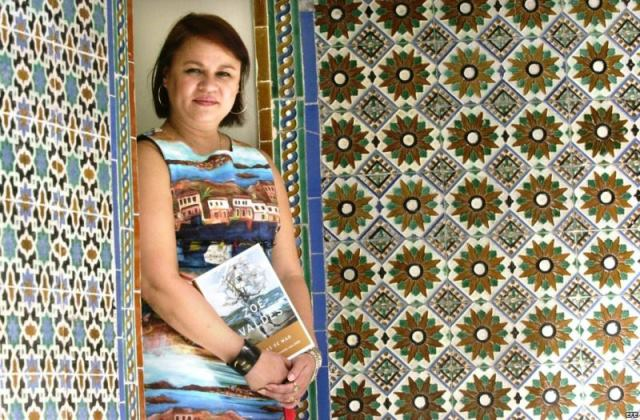 In this lecture, Zoé Valdés will discuss recent literary trends, works, and authors of Cuban origin living outside the Island. Zoé Valdés is an award-winning novelist, poet, and scriptwriter. She was born in Havana, Cuba, where she wrote poetry and fiction and worked as a cultural critic. In 1995 she fled Castro's regime and moved to Paris, where she continues to write. She is the author of 32 novels, many of which have been bestsellers in Europe and have achieved worldwide recognition. Her latest work is La Habana, mon amour (2015), a personal history of the city of her birth. Ms. Valdés collaborates with numerous periodicals such as El País, El Mundo, Le Monde, Libération, and Le Nouvel Observateur. This lecture, to be conducted in Spanish, is free and open to the public, but registration is required at eventbrite. For more information, please call (305) 348–1991 or write cri@fiu.edu.